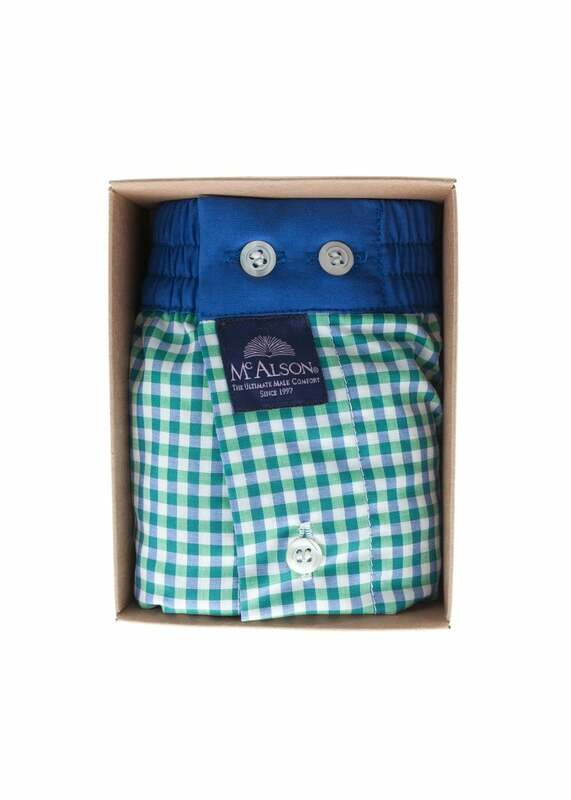 The McAlson checked boxer shorts are made from pure cotton, complete with invisible interior support and an elasticised waistband for ultimate comfort. The McAlson checked boxer shorts are made from pure cotton, complete with invisible interior support and an elasticised waistband for ultimate comfort. McAlson are a luxurious gentleman's underwear brand known for their quirky patterns and designs.